Hrant, you seem to be assuming that the brand value of a typeface is only in how that type is used by the company itself. That can be the case if a company wants to carefully manage exclusive use of a typeface, which is a totally legitimate approach. But consider how much publicity the IBM brand has gotten around the release of the Plex fonts, and continues to get with each update and extension of the family. I fully grasp the marketing value, and even appreciate it (although free fonts always do some damage to the field). My issue is specifically with giving away a branding typeface. Perhaps not overtly, but this is a denigration of type's cultural value, including its branding power. That Abbink quote is quite damning to me, a smoking gun of sorts. And any type designer who agrees with it is not someone I would recommend hiring, certainly not influencing the future of the field. IBM would have been much more supportive of type design by giving away only some mass-appeal part of a family, while keeping some part of it exclusively for its branding. Like sister designs, with complementary approaches to branding. Branding typefaces are the best ones to make libre, because by being open and available to the public, the type can better connects to the brand's widest audience - and it is that audience who co-create the brand meaning and value. I don't think this makes any more sense as a general or universal rule than Hrant's insistence that giving away a branding typeface necessarily undermines its branding power. There are different kinds of brands and different kinds of branding, and what makes sense in one brand strategy doesn't make sense in another. I don’t see much use of the excellent Guardian typeface, and sell few licences for my Pratt (commissioned by The Globe and Mail). I suspect that designers are reluctant to specify these types, with all the baggage they carry, so strongly branding them with their initial raison d’être. Of course, it was different back in the day for Century and Times. There are different kinds of brands and different kinds of branding, and what makes sense in one brand strategy doesn't make sense in another. Of course there can be exceptions... but it's hard to actually find one. And to me Plex isn't one. Let's not beat around the bush simply because this particular client is filthy rich and/or this particular design studio is part of the High Priesthood: if we agree that type helps to brand (although I can see that some people sadly don't, or are pretending they don't) it simply comes forth that –as a rule, all else being equal– giving it away erodes that power, eroding our power. This is a #typedesignersproblem (liberally borrowing here from #firstworldproblems). To the general public, our main audience, fonts are associated with brands within their environment of applied brand materials. For decades, the look of print ads by Volkswagen was defined by the use of Futura, up to the point where advertising agencies tried to avoid Futura because it was associated with VW. But that was in an age with not even 10% of the amount of visual information we are bombarded with today. Ironically, not the restriction to a set of a handful of fonts used by most companies, but the abundance of new font releases (in combination with similar looking layouts and typographic treatment) has led to “sameness” – the phenomenon that everything graphical we see looks more and more similar. I say this as someone who has developed brands and has worked in identity design studios for several years: We perceive brands as a unique set of visual hints that all together build a summary that is more or less recognisable as personality (of a product, company or institution). But uniqueness is not necessarily all there is to personality. It is and has always been the combination of every aspect of a brand, how its products or services perform, how it acts and approaches things, how it communicates, its advertising as well as its PR, its internal corporate culture as well as how customers perceive it – all this together forms a stream of brand perception. The idea that one font family alone could set a brand apart is neglecting everything we have learned through research in cognitive and behavioural psychology. @Nick Shinn The Guardian's type is actually used in a major newspaper in the Netherlands (NRC), where it served to replace Lexicon. Yes, that's as ridiculous as claiming that giving away a branding type does no harm to type's relevance. Our domain is type. Let's not be complicit with its usurping. Hrant H. Papazian said: Yes, that's as ridiculous as claiming that giving away a branding type does no harm to type's relevance. Do we know it has such an impact or is it only a suspicion? Belief in itself isn’t rational, it is a conclusion based on interpretation and that is independent of the underlying amount of information—people believe all kinds of things and they always try to rationalise that belief. As humans, we have no capability of pure rationality (or true objectivity). However, we can test things with as many questions we can find until we can no longer disprove it. That is leading to empirical data. I wouldn’t mind researching this if I had the time and the resources. It’d be interesting to find out how many people recognise a brand accurately, based on seeing a font only, out of context of everything else. I would love to see research. It's just that not having (or even merely not being aware of) good research does not make applying existing beliefs less more important. BTW with good research all that happens is better beliefs, not lack thereof. @Hrant H. Papazian My your reconning, using an existing retail font a bad branding call? Would you say AT&T's use of Omnes is bad for AT&T because Huggies also uses Omnes? Or, in fact, because TalkTalk (British telecom) also uses Omnes? Or is Omnes not a "branding typeface" because it's available retail? If so then what is it? @Hrant H. Papazian from all the "agrees" you might get the idea my questions are rhetorical. I meant them as genuine questions. [B]y your reconning, using an existing retail font a bad branding call? Would you say AT&T's use of Omnes is bad for AT&T because Huggies also uses Omnes? Or, in fact, because TalkTalk (British telecom) also uses Omnes? Or is Omnes not a "branding typeface" because it's available retail? If so then what is it? It's a balance of suitability for the brand versus over-use (and notably, by whom). Helvetica? Fogetaboudit. In contrast, Archer for example might be a toss-up: it's used by Wells Fargo, so was it best avoided in an exhibition I attended last week about the ever-likable dog? Good question. But something like Plex is beyond that question. A retail font has a natural cost barrier that attenuates over-use; unlike something like Omnes, Plex was a commissioned typeface used for branding the entity. Then you give it away?! That's even worse than using a Google font for branding, because you paid for a custom design for chrissake. If you want to curry popular favor by giving away a typeface, at least don't use it for your branding. Does IBM care? That's moot. Let's care less about appeasing corporate ideology and more about the health of our craft. Plex won't become the next Helvetica. Because it's identified with IBM's corporate identity, hardly anyone will want to use it, unless they don't care what people will think of them when they see them using this font. Oh, they'll just use any free font lying around as long as it has the letters in it, no matter that it screams hand-me-down or corporate shill... that's what people will think. So IBM giving the font away won't make it harder for them to keep it all to themselves, or particularly compete with the paid font market at all - instead, no matter the intrinsic merits of the typeface, I expect the impact to be about nil. It makes Vignelli look good. and I would see that as perfectly valid advice to amateurs trying to print stuff on their laser printers. At least in the beginning (which does mean that "trash the rest" is right out, so that part of his thesis you can bash all you want), and coupled with advice on how each one of those typefaces should be used properly. DIN, Futura, Frutiger, Gill Sans, Helvetica, Trade Gothic, Akzidenz Grotesk, Garamond, Trajan, Minion, Bodoni, and Shelley. I found that list to be a bit heavy on the sans-serifs. Gill Sans makes my list of worst typefaces, not best ones; Akzidenz Grotesk and Helvetica are very similar, and if you're going to pointedly exclude Times Roman, wouldn't you do the same to Helvetica? Please don't bash Comic Sans and Papyrus here; they're both excellent typefaces. I don't think Plex will achieve a fraction of the ubiquity of a Verdana or Arial. The public won't recognize it as Plex. That's not due to the typeface itself but the overcrowded free font market. In the end, its effect will be negligible. That's true. Papyrus is mainly criticized because it is overused. I myself, in earlier posts have come to its defense, noting that it is an obvious choice for people who want to give an "exotic" air to something... without it being taken as mockery of some other culture. As for Comic Sans, it too was an admirable effort by a talented type designer. Its problem is that it has a narrow area of applicability, and is far too often used outside it. For example, it is not suitable for use in word balloons in comic books or comic strips. Firms such as Comicraft and Comicrazy specialize in this, and one of the posters here also has designed a few typefaces that are suitable for that purpose, available from Canada Type as I recall. Sorry to derail this thread but Comic Sans absolutely suited to comic balloons if said comics are rad. A certain generation got uptight about its overuse a decade and a half ago but it's cutting edge now. It's the Post Malone Crocs of typefaces and its use denotes and advanced level of chill. My other Twitter account has lots of university age followers and I've been seeing a lot of earnest Comic Sans use in the timeline in the last few months. Back to Plex talk. I've tried to use Plex on two corporate identity jobs, both clients disliked it. Comic Sans isn't my concern here. Rather, I was responding to Hrant's comment about Massimo Vignelli. Of course Comic Sans and Papyrus are both excellent typefaces. They couldn't have become as popular as they did otherwise. But they're special-purpose display typefaces. So, even if he went too far when he said "trash the rest", recommending that neophytes in designing documents restrict themselves to a limited set of typefaces... is not without sense. If that limited set is Vignelli's: Garamond, Bodoni, Century Expanded, Futura, Times, Helvetica... then it's clear that this is a set suitable for creating formal and dignified and elegant documents. just for example... of those six, my only choice for body copy would be Comic Sans, and if I tried to say those six typefaces were "all you need", I would quite rightly be laughed at... in a way that Vignelli wasn't. So my point is that even if it really isn't reasonable to say that there aren't plenty of worthwhile typefaces besides those on Vignelli's short list, at least he chose a halfway reasonable short list. Vignelli: worse than the worst font pirates, who at least care enough about the craft to steal. In contrast, Archer for example might be a toss-up: it's used by Wells Fargo, so was it best avoided in an exhibition I attended last week about the ever-likable dog? Good question. I found that Archer was originally an exclusive typeface for Martha Stewart Living, and so I would have thought it was best avoided by Wells Fargo. Ideally, a typeface for one's own brand identity ought not to be identified with another one. However, my web searches failed to allow me to identify what "ever-likeable dog" you might have been referring to. 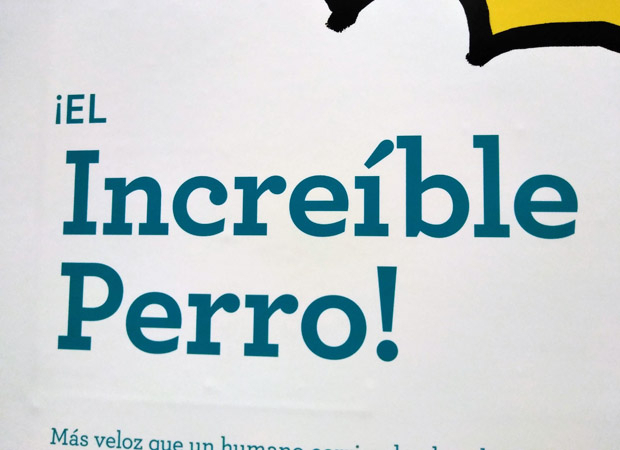 It was an exhibition at a youth-oriented science center about dogs, which people like in a very... different way than they might Martha Stewart or a bank. But the typeface itself nicely evokes our general perception of dogs, and kids are enviably unfettered by the two other users above, so I think I actually like it. Ah, all right. I thought perhaps the exhibit was about a specific dog from a popular Brazilian cartoon... to which I couldn't find a reference based on the data provided. Font pirates are actually robbing some font creator of his livelihood. Although I suppose that since Vignelli is advocating that one should only use typefaces for which design protection has expired, one could say that following his bad advice would have the same result. But while I agree that "trash the rest" goes too far - just as there are typefaces beyond his six that have stood the test of time and can be used well in "good" typography (Optima and Palatino, for example), so there are contemporary typefaces of quality that can be used for typography that is both of high quality and unique, fresh, and new - it is, as I recall, fairly standard advice for newcomers to desktop publishing to use... restraint... in the choice of typefaces. Vignelli is a caricature of this kind of advice, though, I do have to admit. The writing app iA Writer uses Plex throughout all platforms, in virtually all variations of the font family. It previously used Nitti, Nitti Sans and their own serif typeface they used for a while. Now the iA corporate website uses Plex as well. 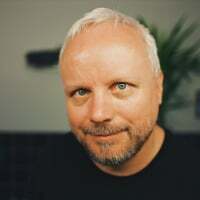 Oliver Reichenstein, one of the founders of the iA design studio, has written a number of articles about screen typography, and iA has developed corporate identities as well as newspaper design concepts over the years (previously to the release of Plex).